TEL AVIV – Settlement building is not an obstacle to peace, but refusal to accept the Jewish state is, Senate Minority Leader Chuck Schumer said on Monday at the pro-Israel lobby AIPAC’s annual conference. “It’s sure not the settlements that are the blockage to peace,” Schumer said, adding that Israel’s withdrawal from Gaza in 2005 – and the subsequent years of rocket fire – proved that construction on land claimed by the Palestinians for a future state was not the problem. Disputes over borders was also not the issue, as demonstrated by late Palestinian leader Yasser Arafat’s rejection of “huge territorial concessions” offered by then-prime minister Ehud Barak. Rather, “the fact of the matter is that too many Palestinians and too many Arabs do not want any Jewish state in the Middle East,” he said. “So that’s the reason there is not peace. 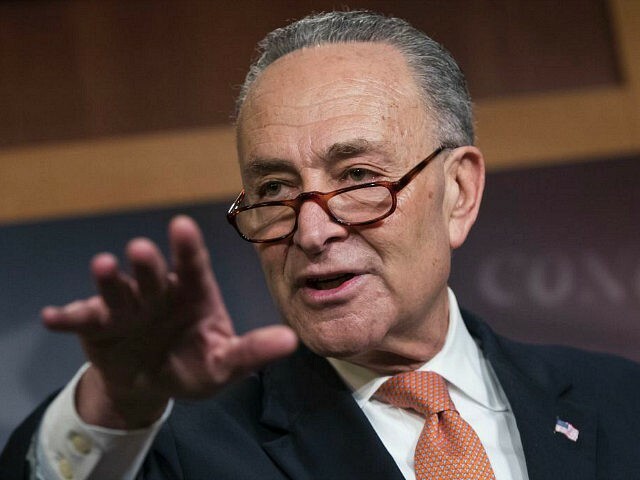 They invent other reasons, but they do not believe in a Jewish state and that is why we, in America, must stand strong with Israel through thick and thin,” Schumer added. “While Putin enables Assad’s atrocities in Syria, while a humanitarian crisis unfolds in Yemen, while human rights abuses happen every day to so many in Iran, somehow, to some, Israel receives the blame for a chaotic Middle East,” he said. The Senate Democrat urged the U.S. to approve legislation that would cut funds to the Palestinian Authority equal to the amount paid out to terrorists and their families. The bill, known as the Taylor Force Act, is named after a veteran of the U.S. Army who was killed in a Tel Aviv terror attack. He also slammed the Boycott, Divestment and Sanctions (BDS) movement for being guilty of “anti-Semitism” for singling out Israel. “Let us call out the BDS movement for what it is. Let us delegitimize the delegitimizers by letting the world know when there is a double standard, whether they know it or not, they are actively participating in an anti-Semitic movement,” he said. Schumer also warned of Iran’s growing aggression in the region. “So we must do these things and more to ensure Israel’s security to educate the younger generations about the true nature of the situation in the Middle East, for the cause of Israel is too important to you and to me,” he said.